In this compilation, the authors discuss the reactions of furans and formylfurans with aqueous hydrogen peroxide which are caused by peculiarities in the chemical behavior of these reagents, as well as their availability. It is known that the furan cycle can demonstrate properties of aromatic compounds, dienes and enoloethers depending on their structure and reaction conditions. 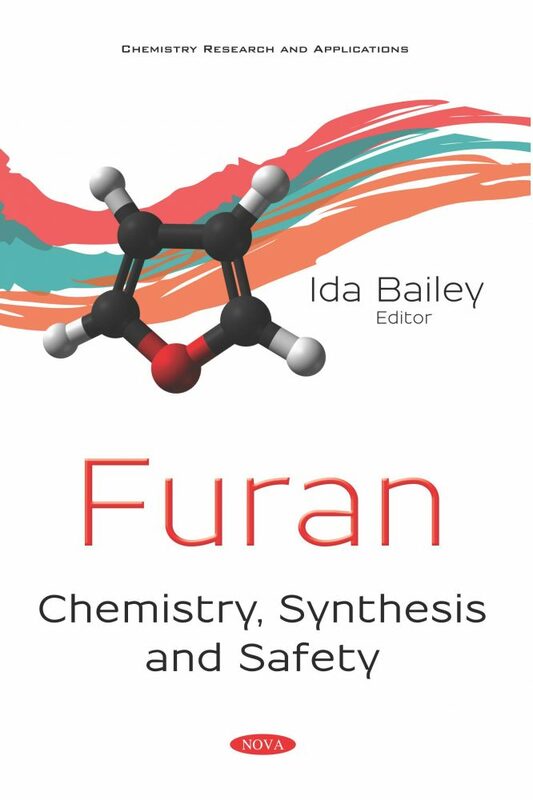 Furans are used in medicinal chemistry as useful intermediates in the synthetic transformations aimed at the development of new pharmaceutical agents. As such, the authors also disclose the direct and atom-economical synthetic route to new [3,2-b]furan-fused pentacyclic triterpenoids via 5-exo-dig cyclization of accessible 2-alkynyl derivatives of betulonic, ursonic and oleanonic acids in the presence of the strong bases or catalyzed by transition gold complexes. The closing chapter presents research data published by the authors in the last five years on the new developed one-pot synthesis of tetrasubstituted furans by the reaction of symmetrical and unsymmetrical acetylenes with carboxylic acid esters and EtAlCl2 in the presence of metallic magnesium and the Cp2TiCl2 catalyst.